Whether you’re a corporate traveler looking for a perfect base for a business meeting, or a luxury traveler looking for a new favorite vacation spot, there is something for everyone with this month’s new Small Luxury Hotels of the World members. (Pictured above.) Victorian splendour meets cool elegance at this revitalised hotel in upstate New York’s most storied destination, Saratoga Springs. As guests walk through the impressive entrance it’s easy to cast back to the old world grace and grandeur of 1877 – this is where New York’s elite would ‘take the waters’ at the natural springs or enjoy a day at the races. However, the hotel has been completely reimagined and is now infused with eclectic, modern touches to make it a luxurious boutique retreat for the 21st century. 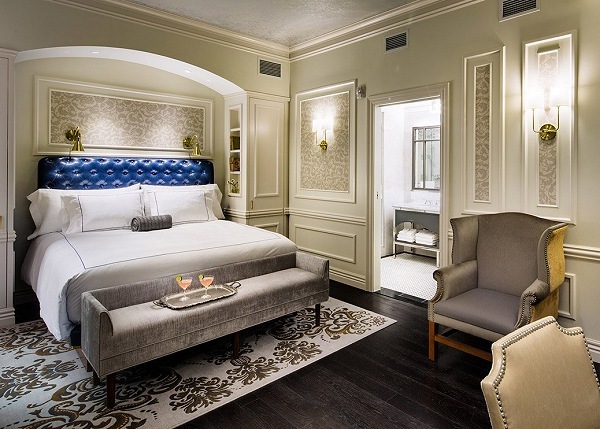 32 guest rooms offer a relaxing space and overlook the landscaped gardens and historic Broadway Avenue. As evening draws in, guests can enjoy the finest modern or traditional cuisine at the hotel’s acclaimed restaurants, The Blue Hen and modern American steakhouse Salt & Char. Enjoy Art Deco style with all the bells and whistles at the American Trade Hotel – from the canopied windows and graceful balustrades to the in-house jazz club. Guests can enjoy views over the town from their pared back rooms – Esquina rooms have two balconies, while Panorama rooms on the top floor have floor to ceiling windows and 180 degree views of the town and the Bay – relax by the rooftop pool overlooking Casco Viejo and prepare for a day exploring with a coffee from the hotel’s Cafe Unido, using craft-roasted coffee beans from Panama fincas. 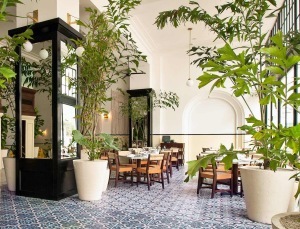 The Dining Room offers seasonal menus that mix European influences with Central American favourites and in the bar the cocktails are picked from the menus of Panamanian sports clubs from the 20s and 30s. The hotel is home to Danilo’s Jazz Club, an intimate 50-seat venue that hosts a mix of international artists and local talent. Nestled along the pristine white sands of Long Beach, Sailrock Resort is a tranquil retreat on a practically untouched island in Turks and Caicos. Stay in one of the luxurious Ridgetop Suites Villas overlooking the ocean or feel at home in an expansive Beachfront Villa, complete with private pool and huge outdoor terrace just steps from the warm Caribbean shallows. 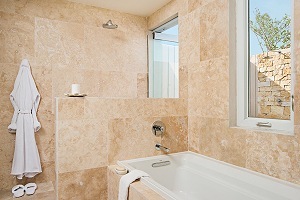 With its open-air design and elegant colour scheme, Sailrock Resort is both intimate and spacious at the same time. Relax in the Na Spa, which features open air treatment rooms, with a signature salt scrub inspired by the island’s natural salt ponds and dine on freshly-caught seafood and local produce in the Great House Restaurant. And if all this gives a taste for adventure, the hotel will be happy to organise activities such as kayaking, sport fishing, kite surfing or scuba diving. This elegant hideaway is strictly for grown-ups, where the days are all about laid back luxury, and the nights about jet-set style nightlife. 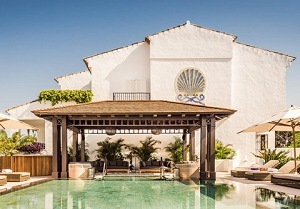 The hotel, located on the Golden Mile that links Marbella’s charming old town to glamorous Puerto Banus, offers an exclusive Nobu beach, a secluded swimming pool, sunset DJ sessions and Nobu’s signature dishes – the first Nobu to open in Spain and presided over by Nobu’s first female head chef. The 49 guest rooms and suites feature creamy tones, light wood and a hint of contemporary coastal cool – a theme that continues at the Six Senses Spa Marbella, set in tropical gardens and with treatment rooms overlooking the sea. As the day draws to a close enjoy priority access to Nobu restaurant or sample the exploratory cuisine of Michelin-starred Dani Garcia, the classic attractions of an authentic Italian trattoria, contemporary tapas, classic Argentine asado and a chic rustic outpost of Ibiza’s famous ‘Chiringuito’. Timeless and elegant, the 37 room Le Narcisse Blanc Hotel & Spa has a privileged position in the 7th Arrondissement between the Eiffel Tower and Les Invalides and was inspired by the famous muse of Belle Epoque Paris, ballet dancer Cleo de Merode. 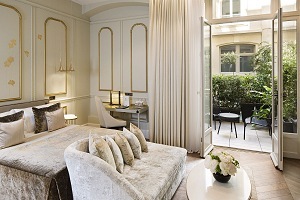 The beautiful rooms are panelled in white wood with hints of gold and dusky rose, windows and terraces overlook courtyards and quintessentially Parisian streets and some of suites offer views across the city’s iconic landmarks. The hotel’s spa offers a refuge from the fast-paced flow of life in Paris with an indoor counter current swimming pool, hammam and sauna, and tailormade Carita treatments. Canadian chef, Zachary Gaviller presides at Cleo restaurant serving contemporary organic cuisine. 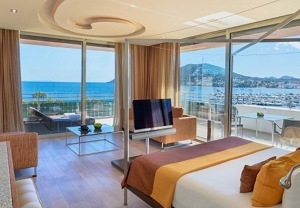 Discover the serene side of Ibiza in Santa Eulalia at Hotel Aguas de Ibiza, a boutique hotel that combines contemporary style with a sustainable ethos. With sleek white walls paired with stone and wood, the hotel design is inspired by the natural beauty of the island in all 112 bedrooms. The hotel is encircled by tropical gardens, terraces and three outdoor swimming pools. Explore the flavours of the Mediterranean in the three hotel restaurants and enjoy a rooftop cocktail and tapas at Vi Cool, the restaurant by renowned two Michelin-starred chef Sergi Arola. The hotel offers numerous activities including paddle boarding and paddleboard yoga, but if complete relaxation is calling, give in to a day at the Revival Spa by Clarins. 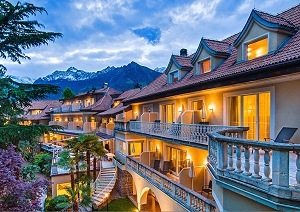 Wrapped in mountain vistas and just a short stroll from the elegant Italian spa town of Merano, the manicured gardens and delicate balconies of Villa Eden celebrate its art nouveau origins. The hotel is focused on getting the perfect balance of health and wellbeing and guests range from those looking for a relaxed local base, to those looking for a more immersive retreat – either way the spa is central to the experience and, for the latter, a dedicated team of spa therapists and medical professionals can help to plan a bespoke programme focused on their specific health and wellbeing goals. Between treatments, lounge beside the pool soaking up the Alpine views, join a yoga class or borrow bikes to explore the countryside and medieval town. The restaurant gives the produce and traditions of South Tyrol a light and healthy twist and also has an option for tailored nutrition plans.